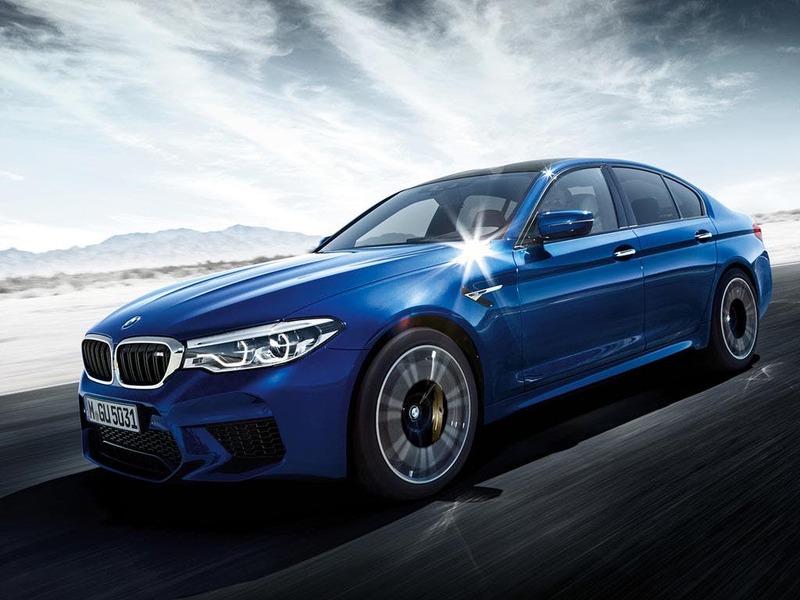 The new BMW M5 saloon embodies executive style. It mixes a high-end feel with sporty touches of design to create something that's’ both luxurious and athletic. 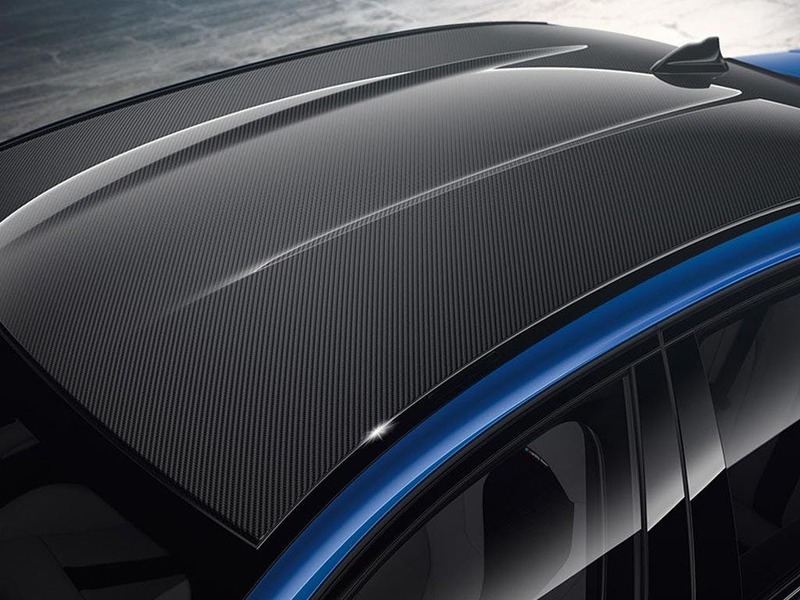 As standard, it comes with a truly striking carbon roof - creating an ultra-modern aesthetic whilst drastically reducing the overall weight of the car. And it’s backed up with an astounding eight-speed automatic engine with all-wheel-drive, giving you unmatched power at the press of a pedal. Explore all the new M5 has to offer by booking a test drive at your local Barons BMW & Chandlers BMW today. 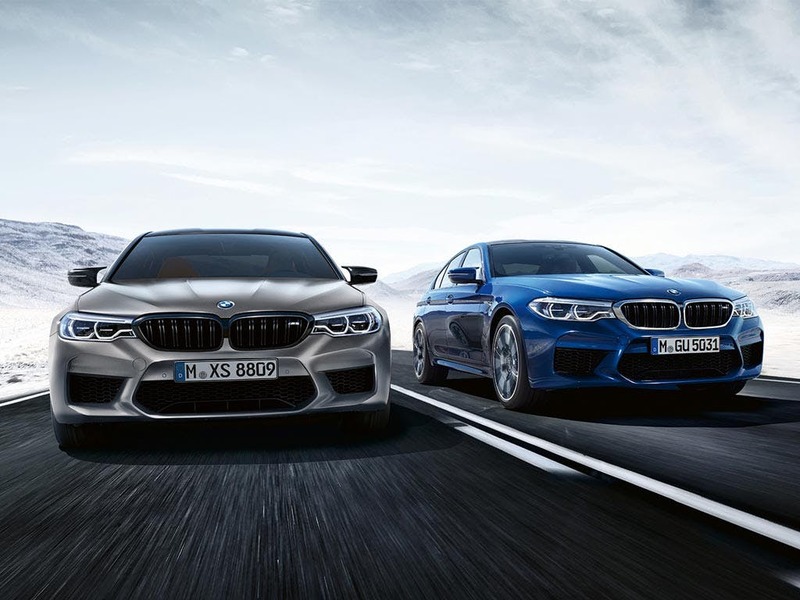 Discover all the latest BMW M5 Saloon offers currently available. 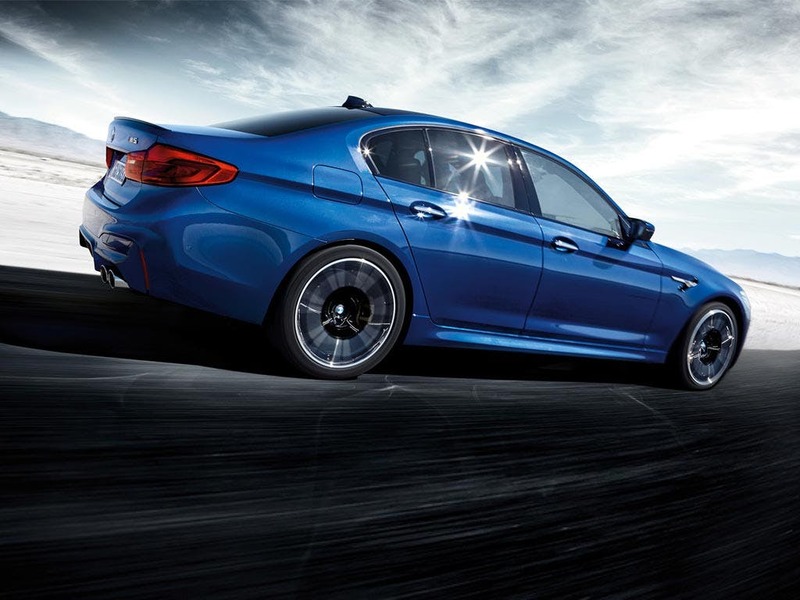 Every detail matters, view the BMW M5 Saloon technical specification. 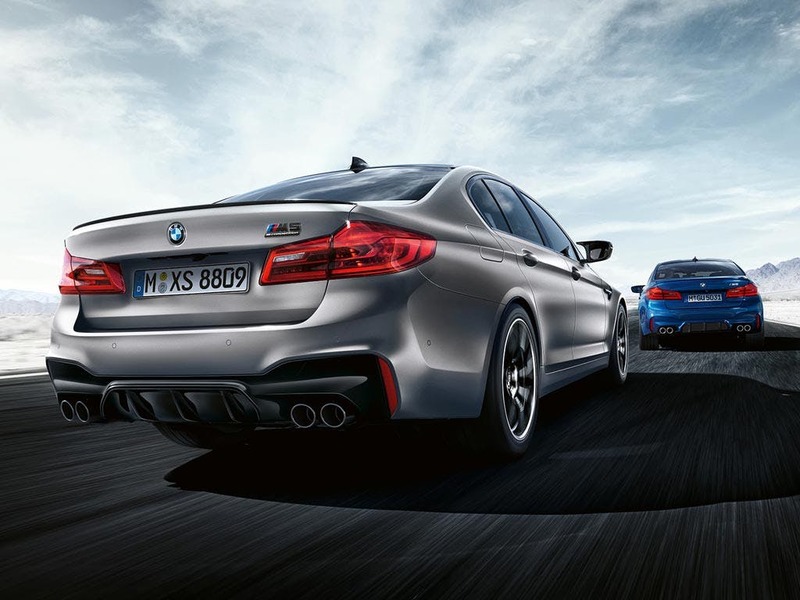 Download the latest M5 Saloon brochure. 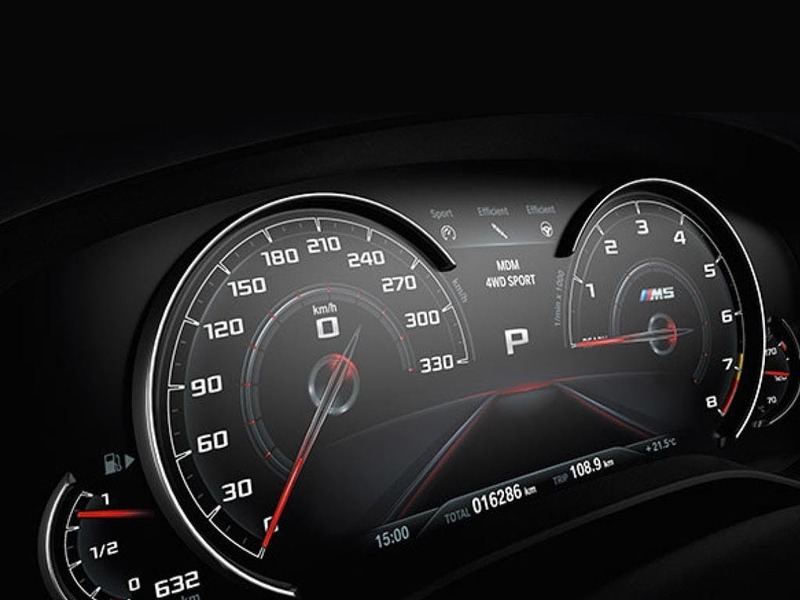 Pure performance is at the centre of the M5. The M TwinPower Turbo petrol engine gives you everything you need, never lacking the power you need. 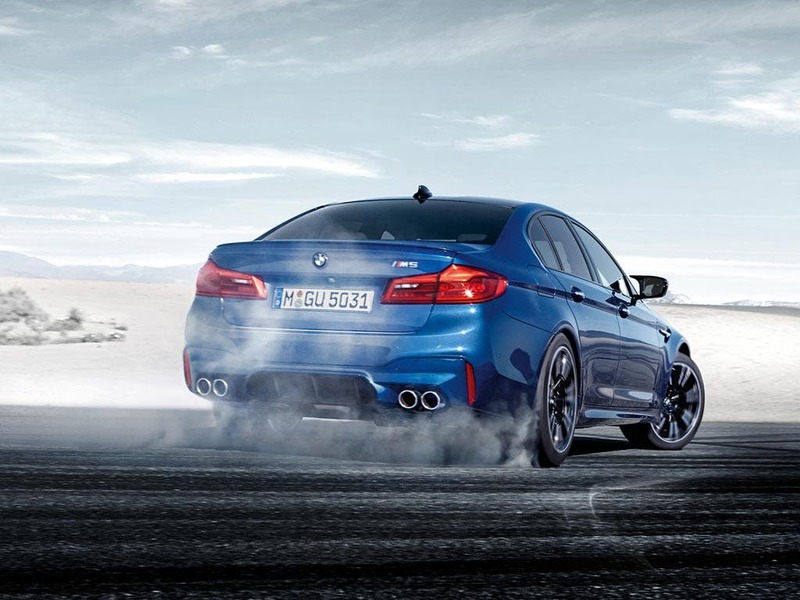 A twin turbo system works with advanced BMW technology, like High Precision Injection, to output a breath-taking 600hp. This potential is evident through the 0-62mph speed of only 3.4 seconds, getting you up to motorway speed in a flash. The eight-speed M Steptronic transmission makes unleashing this mode’s potential easy and smooth, backed up with all-wheel-drive for a more stable driving experience. 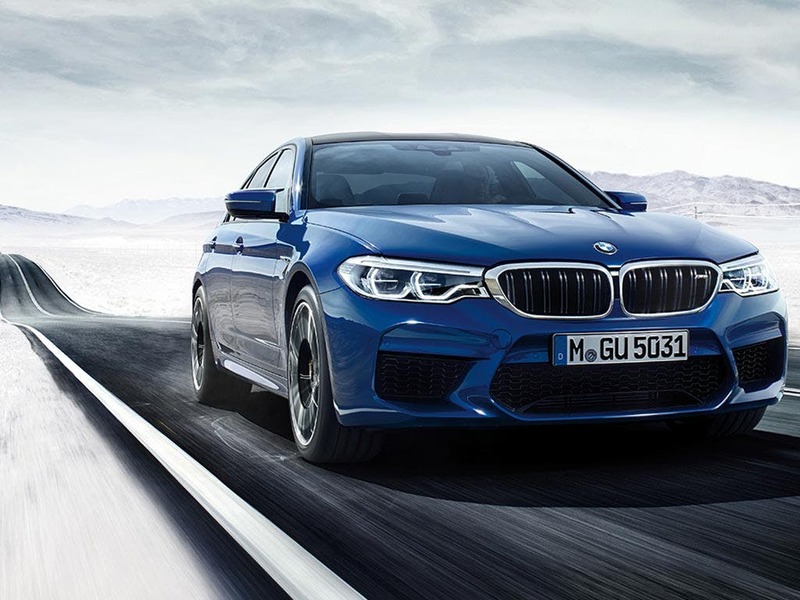 The latest take on the classic saloon, the new M5 is subtly updated with a sleeker, more modern feel. Most strikingly, the roof is fully made from carbon. The sleek, dark design instantly adds contemporary feels, mimicking motorsport designs. But it’s not just aesthetic. The addition of a carbon roof instead of a traditional one drastically reduces the weight of the M5. Matching M Twin tailpipes, an M kidney grille and M mirror caps complete the full athletic design. The front-end uses aggressively angled headlights, sleek lines flowing from the bonnet and a lower profile for an imposing stance. Premium touches line the interior too. All seats are lined with luxurious Merino leather, adding a supple, soft surface for all to enjoy. Front M multi-function seats offer serious comfort and support, with lumbar support, deep seats, protruding shoulders and high sides to keep you firmly in place when driving at high speeds. Set the perfect mood with six different ambient lighting colours, perfect for night driving. 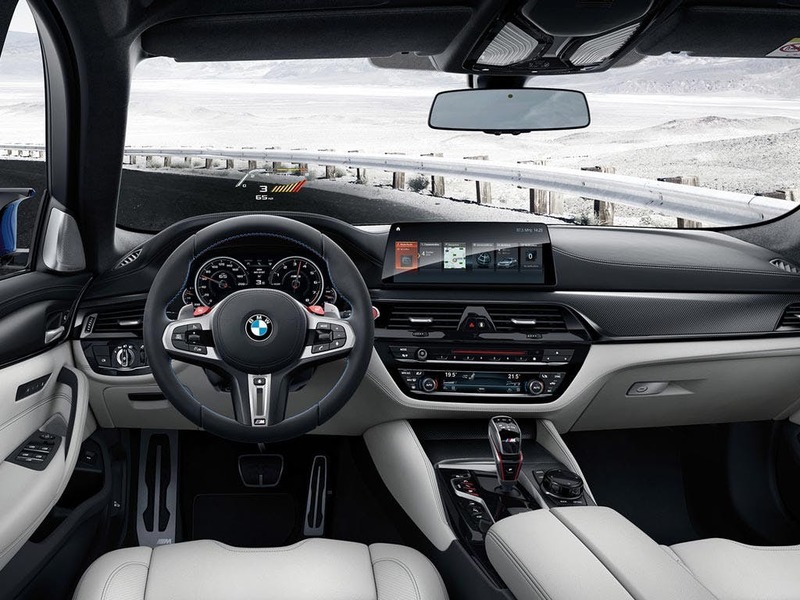 An M multi-function steering wheel matches the seats, adding to the sporty interior feel whilst giving you control over certain systems without having to take your hands off the wheel. The new M5 Saloon keeps you connected at every step of your journey, utilising state-of-the-art technology that you’d expect to find in your home. An onboard computer tracks your driving so you can analyse data like fuel consumption, average speed and range. You can control various systems through the 10.25-inch colour touchscreen screen, or use the iDrive Touch Controller located on the centre console. The BMW Professional radio with CD, DVD and MP3 uses a harmon/kardon loudspeaker sound system for a powerful listening experience. 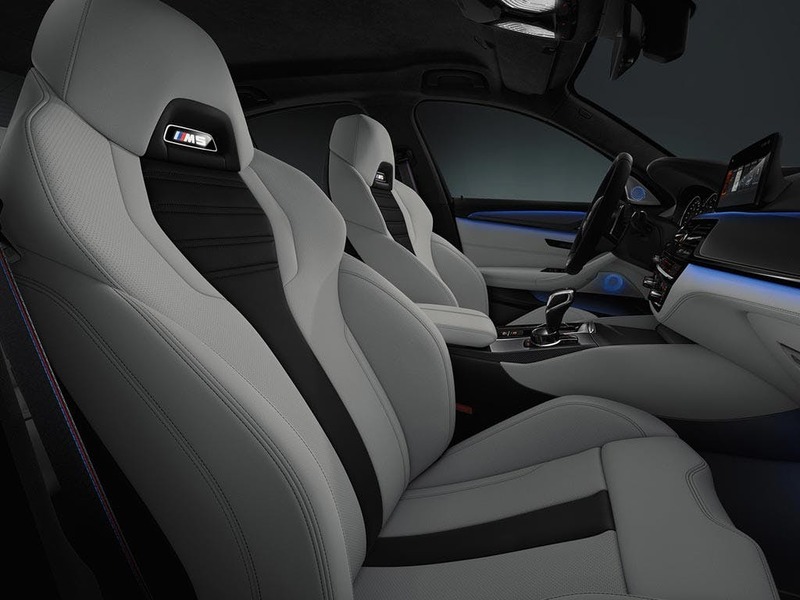 Sit in the driver’s seat of the new BMW M5 Saloon and you won’t want to get out. Book yourself in for a test drive at your nearest Barons BMW dealership so you can experience this premium car for yourself. Or, get in touch with our friendly team to learn more or to discuss purchasing options. 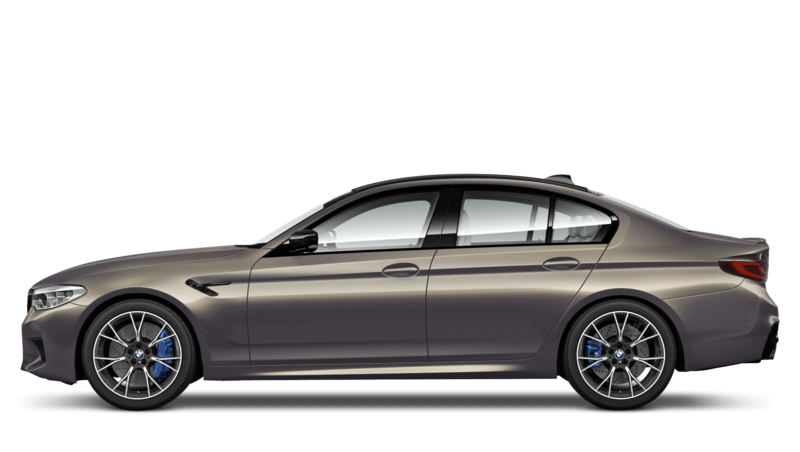 Explore the M5 Saloon specifications.